The belief in race as an objective, biological reality has been very strong, pervasive, and significant in much of public policy. Yet scientists say it is simply not real. There is neither very much genetic variability in humans compared to other species, even our closest relatives, nor is it distributed in humans in anything like the consistent patterns that, in other species, define the biological concept of races. Humans are all one species, with no subspecies, no biological races. Monogenesis at least left open the possibility that differences might be environmental, and perhaps be overcome, but that was often an inconvenient, and thus unpopular, idea. 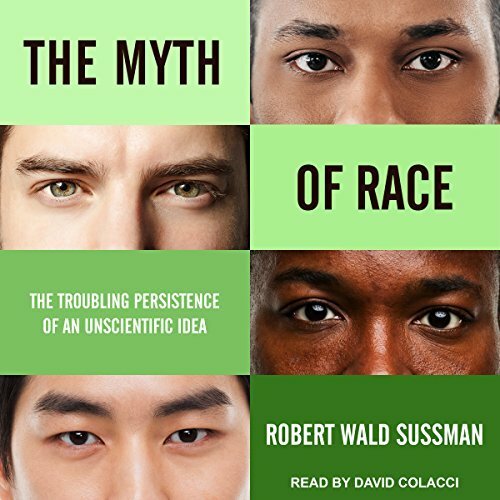 Sussman describes the intertwined effects of the pseudo-scientific theories of racial origins and racial inferiority, and the political theories and policies that grew from them--including the rise of the eugenics movement in the US and Germany. Influences flowed back and forth between Germany and the US, getting worse and worse. At the same time, the rise of real genetic science, and the development of cultural anthropology, also began to undermine those theories. It's a fascinating and alarming account, and the racial theories are still with us today, affecting today's policies on immigration, education, health care, and the social safety net. It's well written, read well by the narrator, and tremendously informative.